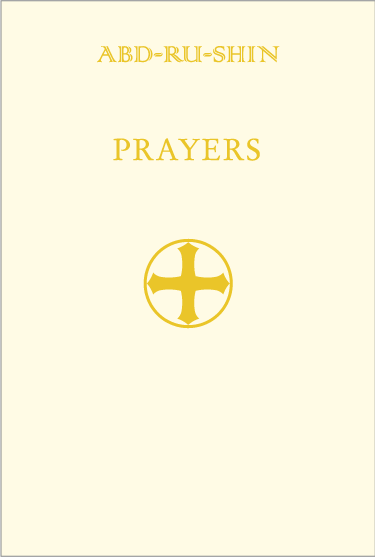 The book "PRAYERS" contains a collection of prayers as given to humanity by Abd-ru-shin. In addition, there has been reproduced in this book Abd-ru-shin's answer to a question, as well as four lectures from the work "IN THE LIGHT OF TRUTH", which are closely connected to prayer. This new selection should give encouragement to the interested reader to look especially into the meaning of prayer as seen from the perspective of the Grail Message. "If prayer is to be spoken of at all, then the following words are naturally meant only for those who concern themselves with prayer. He who does not feel the inner urge to pray may well refrain from doing so, for his words or his thoughts would inevitably dissolve into nothingness. If a prayer is not thoroughly inwardly experienced, through and through, it has no value and therefore will have no effect. The best foundation for a prayer which may be expected to have effect, lies in those moments of spontaneous thankfulness arising out of great happiness or of deepest pain resulting from heartfelt grief. In such moments a person is filled with one particular intuition which dominates all else within him. This enables the main wish of the prayer, be it gratitude or a request, to receive undimmed power." "Man should not forget that when praying he need only obtain the strength to enable him to bring into being himself what he is praying for!"